The Troodon (TRO-uh-don) is one of the Creatures in ARK: Survival Evolved. Quite possibly the most intelligent non-human creature on the Island, Troodon magnanimus is an incredibly fast learner. It understands meaningful experiences much faster than other creatures (including humans), and its social nature means it also teaches its packmates, making them smarter too! If Troodon's cleverness didn't make it formidable, then its tactics and biology would. It specifically pack-hunts at night when we are most vulnerable, and sees humans as its primary prey. This audacity is made especially dangerous due to its serrated fangs' poison, which drains stamina from any creature, but outright paralyses humans. Thankfully, Troodon is fairly small. Were it larger, it might well have become the dominant creature of its ecosystem. I thought Troodon simply could not be tamed, until I finally saw a lone survivor with one. She told me that she let "Troody" hunt a few of her tribe's smaller creatures for sport, and it eventually started following her everywhere. It seems that while Troodon is too intelligent to fall for the rote conditioning of "tranq-and-feed," it can instead gradually gain loyalty from a social approach that provides it with the opportunity to hunt. Ever since, I have wondered at the benefits which a pack of ultra-smart, bred-for-battle Troodon may bring to a tribe brave enough to earn the favor of these clever carnivores. Troodon are aggressive dinosaurs which have very small aggro ranges, almost like that of a Dilophosaur, but when alerted to your presence, all other Troodon in the pack will become aggressive. It is best to avoid these animals when starting out as they can easily outrun a survivor without any points added to speed and their venomous bite will slow you down. At night, their eyes glow and they also have a higher aggro range. A pack of these can take down a Carno pretty easily, so if you are planning on taking one down, take numerous speedy dinos and a ranged weapon. A smaller relative of the island's Raptors, Troodon is no less dangerous. It has large eyes which glow at night, perfect for spying prey in the dead of night, and serrated teeth made for grievously wounding unlucky victims. Worse still, it is venomous (a trait unseen in their fossil ancestors). Troodon also has a coat of feathers, in contrast to the relative "nakedness" of the island's other small carnivorous dinosaurs. This section displays the Troodon's natural colors and regions. For demonstration, the regions below are colored red over an albino Troodon. The colored squares shown underneath each region's description are the colors that the Troodon will randomly spawn with to provide an overall range of its natural color scheme. Hover your cursor over a color to display its name and ID. 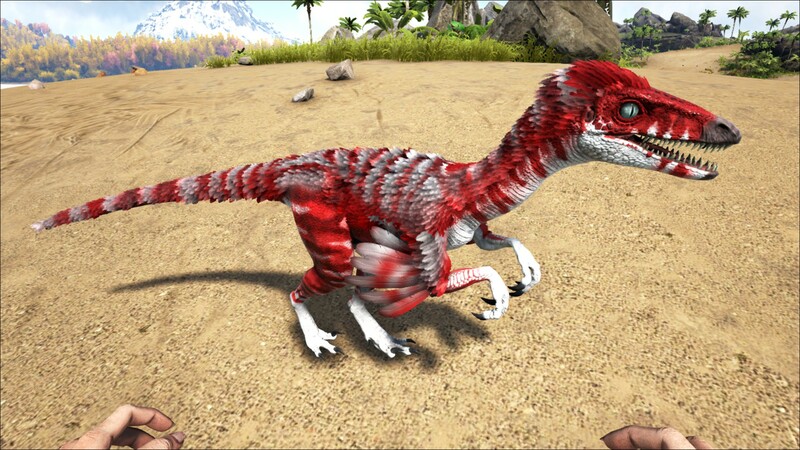 For example, "cheat SetTargetDinoColor 0 6" would color the Troodon's "main body" magenta. Main Attack (Survivor only) Tranquilized The target's Torpor will increase by 50 over 10 seconds. Attacks refresh the duration but effect does not stack. Unaffected by melee damage. Troodons use a unique flavour of Passive Taming. Instead of putting a Food item in your last Inventory Slot, you have to instead allow the Troodon to kill your tames. Troodons gain Taming Affinity by earning Combat Experience, with the amount required reduced by 40% at night. Taming Affinity will only be credited to a player if the creature killed belonged to you or your tribe. A singular tame is capable of providing experience to multiple troodons. Tests have shown this is unreliable, but can be reproduced. Creatures must not be set as Passive and must be unmounted by a player. Creatures can be unconscious or pre-damaged (i.e. at 1 Health remaining). Babies and adults provide the same amount of experience. Pheromone darts may be utilized to make the troodon attack a chosen dino, but be careful that other wild dinos do not enter the fight. There is a "Feeding Interval" of sorts, wherein no Taming Affinity will be gained for subsequent kills. It is not yet known how this is calculated, but 90 seconds was sufficient for a level 1 Troodon. Taming Affinity will not reset nor is Taming Effectiveness reduced when a wild Troodon takes damage. In fact, Troodons will always tame with 100% Taming Effectiveness (i.e. 50% bonus levels). 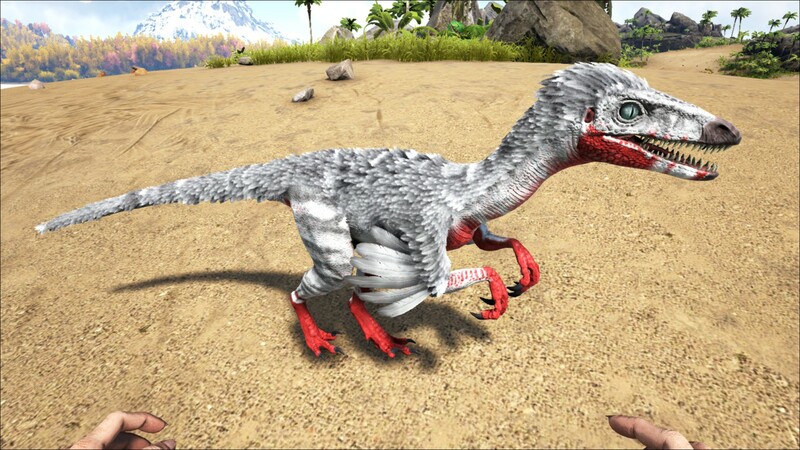 Taming and Experience Multipliers do not seem to affect the Troodon. That said, the table below utilises the v253.0 hard-coded 2x experience values (although even if the actual amount of experience required and earned is still on the previous 1x values, the taming requirements are the same. Troodons will not readily aggro onto most creatures that provide a substantial amount of experience. To circumvent this, have the Troodon aggro to the player while standing on top of the creature. A level 5 Titanosaur is sufficient to tame any levelled Troodon, and has been omitted from the tables above. Aquatic creatures have been omitted. Dododex has a calculator complete with an experience bar for the prospective troodon as well as the ability to simulate feeding it any number and level of tamed creatures. Baby Wyverns are the most recommended taming method as Wyvern Eggs are readily available and the babies do not starve at an accelerated rate. Requires further testing: Be very cautious of the baby's food stat when attempting to tame Troodons with baby dinos, even with wyverns; for some reason it seems that the Troodon causes all food to drain from the baby after it attacks it. Estimation of the food drain is around 250-300 food per second. This lingers even after some time from the Troodon's last strike. As a result this may cause a hefty sacrifice to be for nothing if the baby somehow dies from starvation. Due to how sporadic the Troodon can be even with the use of pheromone darts, it may be worth it to sit on top of the baby if possible so the Troodon attacks you and the baby. If it happens to knock you out, it may still kill the baby and become tamed, leaving you in no danger. Using Cryopods to inflict Cryo Sickness on the creature you are trying to sacrifice will cause it to take 10x the damage. This can make it much faster and easier for the Troodon to kill them. This section describes how to fight against the Troodon. It is not advised to engage in combat with a Troodon in melee range as these cheeky buggers are small, move very fast, and their poisons cause rapid torpor gain that is not lessened by Riot Gear. Fight them mounted, or keep stimberries on your hotbar and constantly eat them while fighting. However the latter is less likely to work against more than one Troodon. Their venom only drains stamina on other creatures but adds torpidity to survivors, so as listed above it is advisable to fight them on a mount. Any mount will do, since Troodons have low HP, but high stamina is advised. If you must dispatch of a Troodon then do so during the day if you can help it. They can very easily conceal themselves in environments dense with foliage, rocks and trees so be sure to take all pack mates into account before attacking. To combat a Troodon, use either a tamed & mounted dino or ranged weapons so it can't knock you out. You can also try to throw a bola at it. Then you can just use a range weapon, or a melee weapon with reach to kill it (i.e. Pike). Avoid getting too close. Troodons are considerably stronger at night. Their aggro range and speed increase by a large amount. A huge danger to early game Survivors. They also gain pack bonus similar to compies, max of +4 only works at night. Packs usually consist of 3-4 individuals. Long ranged weapons such as the Crossbow can nullify the Troodon's torpor effect if used properly. Troodon are scared of most light sources and will run away from campfires and torches, carry one on you to deter attacks,. The Troodon's eyes gain a glow effect at night, similar to the Megalosaurus. This grants the Troodon an increased aggression radius and movement speed, as well as a Pack buff similar to the Compy that is limited to +4. It is currently unknown what benefits the pack bonus grants (Level Health and Melee Damage). The Troodon has a Menu Wheel ability, Scout: Reveals the current location of the nearest valid unit within 3000 range. 60 second cooldown. Selection: Players & Tames; Players; Traps; and Wild Creatures. Range seems to refer to something approaching centimeters, rather than meters or foundations. At approximately 1m2 per foundation, the base range is about 30 Foundations. Rather than investing in bonus stats, you can instead consume skill points to "Improve Scouting". The two options for improvement are: Scouting Range and Scouting Cooldown. Each point is worth either 120 bonus range or -0.8 cooldown. This is in contrast to Moschops and Therizinosaur, whose improvements are in addition to bonus stats. The cooldown reduction maxes out at 2 seconds, which would take 73 level-ups in cooldown reduction to achieve. Points put into cooldown reduction after this point are consumed, but have no effect. Note that this is not currently possible on official servers but may become so in the future. The Troodon cannot be carried like the similarly sized Archa or Compy, limiting its usefulness. (Level Health, Speed, and Stamina). 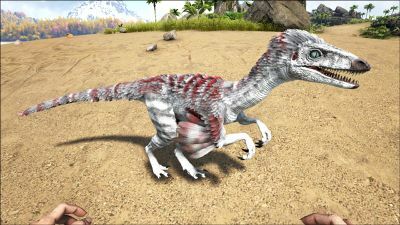 The Troodon's movement speed, stamina draining toxins, and ability to give high amounts of torpor against players makes it very useful for PvP. Allowing it to protect bases or homes from invaders with ease, especially if left in tight spaces or rooms. They are also good for laying a fast sneak attack on players that are not yet mounted on tames, the scout ability will allow you to use these dinos to more success in an fast sneak attack. Pump points evenly into Health, Movement Speed, and Melee damage for best setup. Very, very expensive and luxurious pet. The dossier was revealed on November 9, 2015. In ARK Digest 25, it's revealed that Troodons will work on an Affinity system, where any knocked out creature killed by the Troodon will add to the taming bar of whomever knocked out the prey. This was later changed so the prey could belong to a player's tribe. The dossier mentions that Troodon possesses a venomous bite which paralyzed its human prey. This is possibly a reference to the Troodons in the Jurassic Park series (primarily in the novel and games), which were also nocturnal and possessed a venomous bite. Interestingly enough, the bite of Jurassic Park's Troodon also had a paralytic effect, but this was in later stages. At first, the bite caused hallucinations which slowly drove the victim berserk, followed by convulsions and seizures, until finally paralysis and brain death. The skull seen in Troodon's dossier is nearly identical in appearance to that of the dinosaur Dromaeosaurus. Like other non-violent tames the Troodon can be knocked out, but when it is knocked out the dinosaur can't be tamed. The Troodon will be added to ARK: Survival Evolved Mobile in version 2.0.